Can earn cash for referring others to the program. One of the few survey sites that pays out in cash. Has many different and unique earning opportunities. The website is beautifully laid out. Reveals up-to-date info via a blog and social media accounts. Any coupons earned can only be used in the U.S only. The minimum cash out limit is $50. Known for sending out a few spam emails. 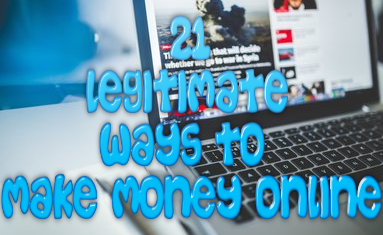 It is no secret that there are probably a million different ways that you can make money online. One of those ways to make money on the Internet todays is by taking online surveys. I can’t tell you how popular this has become, especially in recent months. The good news is that there are bunch of legit sites where you can certainly get paid for completing simple surveys. However, keep in mind that there are just as many sites out there that will not pay you for your hard work. That is why it is extremely important that you use caution when looking for legitimate survey sites. You want to make sure that you don’t waste your time working for a survey site that is just not going to pay you in the end. Program Overview: What Is Vindale Research? So Vindale Research is a company that is based in the heart of New York. To date it is one of the oldest survey companies out there and probably the most reputable. In order for you to be paid from this site all you have to do is review some of the products listed on the site as well as take a couple of surveys. That sounds pretty easy, doesn’t it? It actually is. However, just like all the other survey sites out there, taking surveys and reviewing products is a time consuming process and the pay is not at all what you would expect it to be nor want it to be. The amount of money that you can earn with this site will ultimately depend on the kind of survey you are taking. With this site some surveys will pay out more than others, especially those that require some specialized answers such as medical surveys. Those are perhaps the highest paying surveys that you will find. Depending on the kind of survey that you take you can easily earn $1 to $5 per survey. The urveys are relatively easy to complete as they are mostly made up of short answer questionnaires. Best of all no credit card info is required to take these surveys. In order to earn cash on the available evaluations, you are asked to review a product or a service for a certain period of time and then you are asked to give your honest opinion about it at the end of the trial period for however long it is. This is yet another great way to earn cash this way. This is exactly as it sounds. With this opportunity you have the chance to earn even more cash by interacting with various advertisements that are sent to your email from the company. However, don’t get too excited as you will most likely only earn up to $0.10 per mail reward. 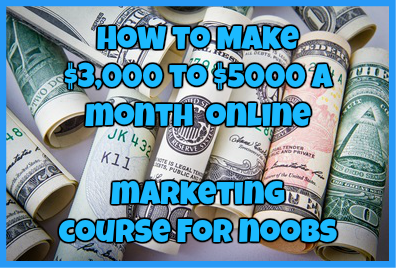 This is perhaps the easiest way to earn money with this site. You can earn up to $0.25 for watching various Vindale videos online. Many of the videos are relatively short in length and you will most likely enjoy watching these than you will enjoy taking various online surveys. The best and most lucrative way to make money with this site is by its referral program. With this site you can earn $5 per every person that you refer. Easy, isn’t it? There are many different cash contests that take place on the Vindale Research website every week. After you join the site this is something you should always be on the lookout for as you can easily earn $15 from these contests alone. When you send a photo of the payment you have received from Vindale Research, you can earn upwards up $5. Easy work considering you are just sending in a photo. Unfortunately there are more negative complaints and reviews about this website than there are good ones. Just see what people are saying about this site for yourself. While this company is certainly legit, this is not a website that I really recommend. The primary reason for that is that you can’t make a ton of money with it. I say this not just because of the poor pay that you can expect, but because of the various misleading trial offers that they throw your way. There are many other legit survey sites like Cash Crate that don’t ask you to pay upfront fees to make money with them and you shouldn’t have to pay upfront like this for a money making opportunity. So while yes, this is a legit company and a legit website to make money on, I really don’t recommend it. Have you used Vindale Research before? If so, I would love to hear from you! Drop me a detailed comment below.